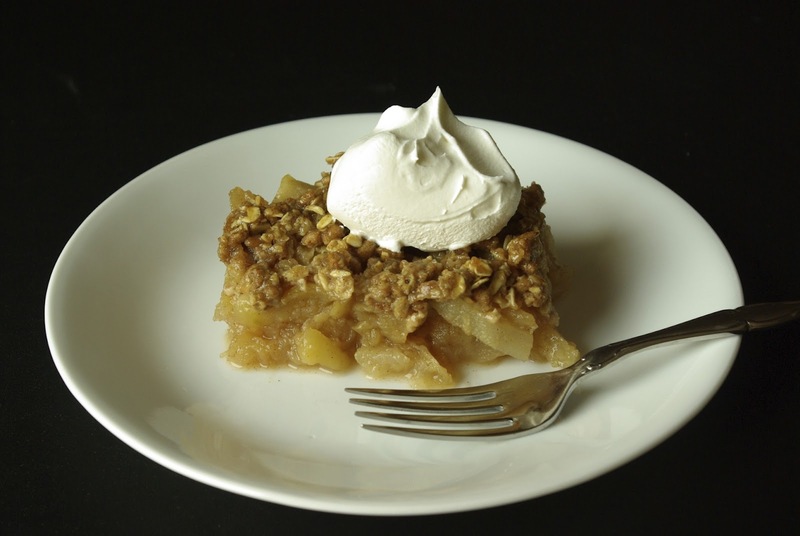 Ever since I was a child apple crisp has been a favorite dessert of mine, so when my mom told me about a lighter apple crisp recipe that she saw on the Today Show the other day, I was immediately interested. If there is a way to lighten up this comfort food classic while still retaining its crumbly, oat-y goodness, I am definitely game. So what is the verdict of this new recipe? It is wonderful. 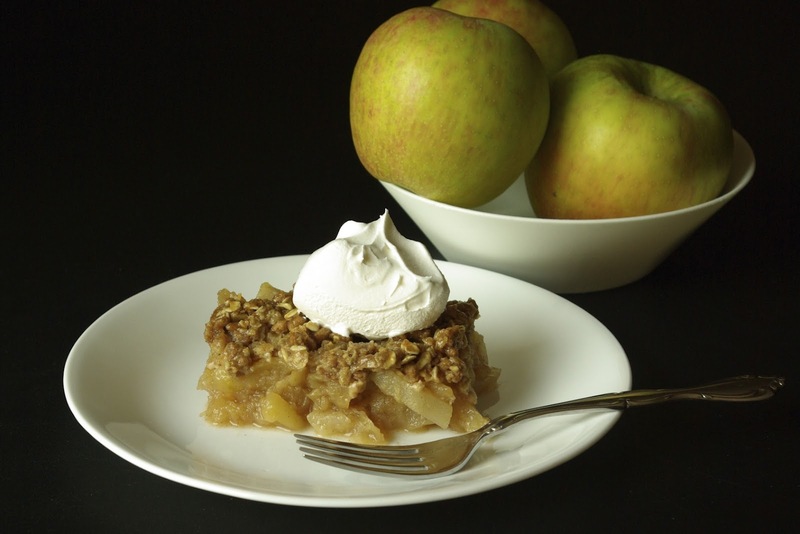 The apples are tender, juicy, and perfectly sweet, while the crisp is crumbly, brown sugary, and absolutely delicious. When you’re craving a warm comforting dessert, but don’t want to overindulge, give this apple crisp a try; I think you’ll love it! Process 1/3 cup oats in food processor until finely ground, about 20 seconds. Combine processed oats, remaining 1/3 cup oats, Grape-Nuts, sugar, flour, butter, cinnamon, and salt in medium bowl; set aside. Adjust oven rack to upper-middle position and heat oven to 400 degrees. Cut 3 apples into 1-inch pieces and slice remaining 3 apples into 1/4 inch-thick wedges. Bring apple pieces, (NOT WEDGES) apple juice, sugar, and cinnamon to simmer in 12-inch nonstick skillet over medium heat. Cover and cook, stirring occasionally, until apples are tender, about 15 minutes. Transfer mixture to bowl and mash apples using potato masher. Reserve 1 tablespoon mashed apple mixture. Return remaining mashed apple mixture to skillet with apple wedges and cook, covered, until wedges just begin to soften, 3 to 4 minutes. Transfer apple filling into an 8-inch square baking dish and press into even layer. Add reserved mashed apple to topping mixture, stirring until mixture appears crumbly. Sprinkle topping over filling and bake until juices are bubbling and topping is deep golden brown, about 25 minutes. Let cool on wire rack for 15 minutes. Serve, topped with a dollop of whipped cream and enjoy! It's a date, Allyn! We ran out last week and I have certainly NOT had my apple fill yet…there are way too many apple dishes left to prepare!